Today we go north via the Lecht Ski Resort. There are 12 lifts and 18 kilometers for skiing and snowboarding. Now the ski center is in the fog but a few years ago (2004) we came from the other side and the road was suddenly frozen and we drove by car down, it was more like sliding, a very anxious experience that I can remember quite vividly. Brrrr. That was in March, now it is September and Iam glad it is a few degrees above 0. Near Fodderletter, a very small hamlet, we see a few old bridges over the Avon that are no longer used. Yet they are still there and there is a commemoration monument for a Mr. Peck, a local historian who would have taken care of the bridge together with his wife. Old bridges have become historically and culturally valuable and can not simply be demolished, even if they no longer have any use, and often there is a local initiative when a restoration is necessary. Which is a reason to put a memorial plaque at the site. There is also a sign here taht syas 'Bridge built 1754 restored 1991'. If they had more money the plaque would probably bigger with names on it. Our main goal today, besides driving around the area, is a visit to Ballindalloch Castle where we drove by yesterday. When you enter the driveway you immediately come across a kiosk where you have to pay the admission price. We have seen so many castles that in recent years we often drive to the castle, take a picture from the outside and then drive back. That is not possible here, but we have not been here before, so we pay and drive to the parking lot. If we stand before it, we see that it is a large and massive castle, very impressive. We first walk around it and buy a cup of coffee (in too big a cup and too weak) that we drink in the garden before the castle. The Macpherson-Grant family has lived here since the 16th century. Not everything can be visited, only a part of the castle and that is decorated like many other castles: with old furniture, paintings and other domestic objects from the past centuries. You are not allowed to photograph inside but on the luxury toilets I make one anyway, a large space that is perfectly furnished, cared for and clean, suited for a lady. And then we walk through the different gardens. For castles lying in strategic places, the garden might not have been so important, but for influential clans who had a lot of land around their castle and did not have to fight each other so often by the 18th century, the gardens became more and more important. It became a playground for the women of the house who, often in collaboration with well-known gardeners, built various gardens within the estate. Also here are several corners that are referred to as separate gardens, the rock garden, the rose garden and the Courtyard Garden. To increase the prestige of the garden, plants, bushes or trees were often planted from other parts of the British empire. Although the gardens here are not as extensive as other castles, they are pleasant to walk through. But now we both have enough of castles and go driving around, there are still so many roads where we have never been. 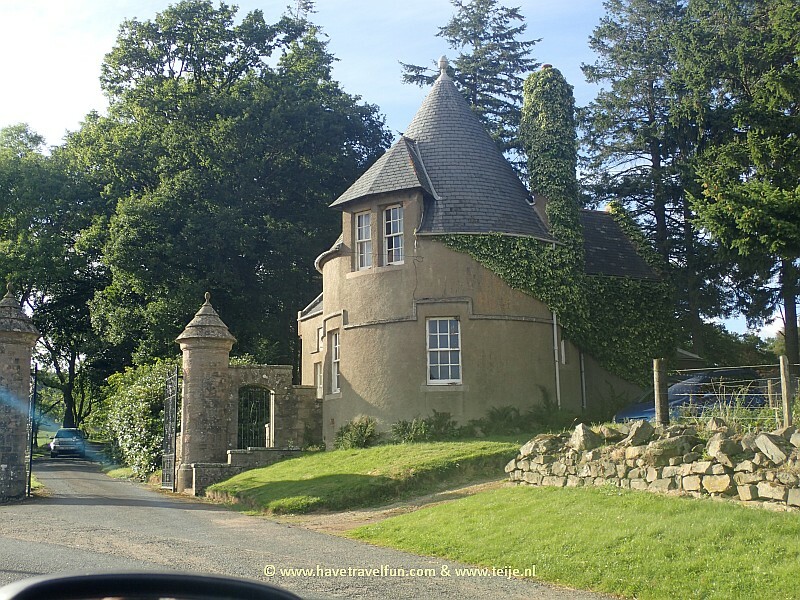 Along the way we see enough other nice buildings such as Arndilly House along the Spey river. Then we drive a bit to the east on mostly deserted roads where the area sometimes consists of meadows and then again pure nature without human meddling, a combination of cultivated land and nature. 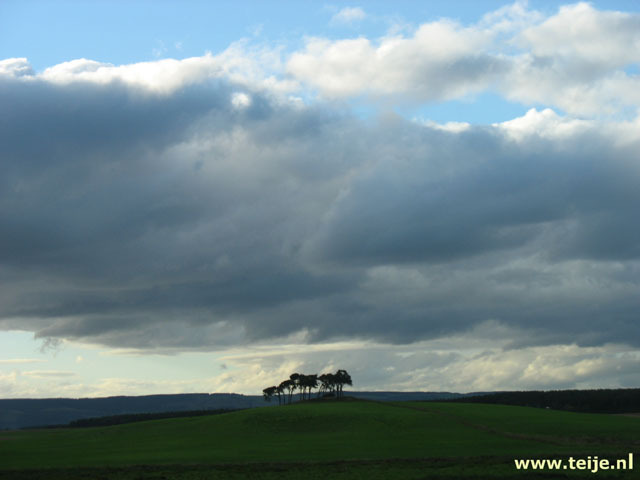 After a long drive over narrow roads we finally arrive in Huntly where we spent a night and have good memories of. It is already late in the afternoon and the air is dark again so time to find a pub for a pubmeal: we just eat what they serve at a not too high price. Then we drive as directly as possible to our house where we quickly put on the heating. We have spent a wonderful week here, but tomorrow we have leave.